Keeping informed on the latest news. KUALA LUMPUR: You've heard of the term “smart city”. You may even be living in one right now. But what exactly is a smart city, and what can it do for you? According to the Sustainable Cities Standardisation Framework In Relations To ICT Aspects 2016 (Technical Code), a smart sustainable city is an innovative city that utilises information and communications technology, as well as other means, to improve quality of life. The Technical Code, developed by the Malaysian Technical Standards Forum Bhd (MTSFB) and registered by the Malaysian Communications and Multimedia Commission (MCMC), also states that a smart sustainable city improves the efficiency of urban operation and services, and competitiveness, while ensuring that it meets the needs of present and future generations, with respect to economic, social, environment as well as cultural aspects. The smart city development focuses on several key areas such as mobility, environment, waste management, e-governance and, most importantly, its people. “Strictly speaking, there isn’t any city in Malaysia that truly qualifies as a smart city, but from our observations, several local councils and state governments are taking the lead in terms of implementing some smart initiatives,” says Global Vision Board for Smart Cities Innovation Lab board member Vincent Fong. “I believe that all states, to some extent, are at the very least, attempting to upgrade their cities. Fong was part of the forum tasked to produce the Technical Code. Earlier this year, Kuala Lumpur City Hall (DBKL) unveiled its newest app eDrive which is linked to the Integrated Transportation Information System (Itis) that allows road users to check on traffic and plan their journey. The free app, available on Android and iOS devices, allows users to view images from 40 stationary cameras installed on major roads in Kuala Lumpur, including Jalan Syed Putra, Jalan Mahameru and the Kuala Lumpur-Seremban Highway. The images are refreshed every three minutes. On top of that, the app also has the Parking Guidance Information System that provides the number of parking spots available at 14 shopping malls such as Suria KLCC, Pavilion Kuala Lumpur, Low Yat Plaza and Maju Junction. 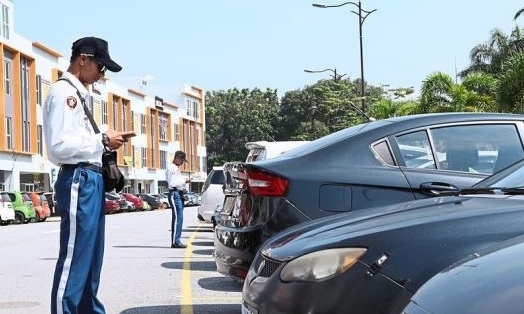 Several local councils in Selangor are also making parking a breeze for users having introduced the FlexiParking app which enables users to pay for parking. Among them are the Sepang Municipal Council, Shah Alam City Council, Ampang Jaya Municipal Council, and Kuala Langat District Council. Users can register up to six cars and the app will send a notification 10 minutes before the parking period is about to expire. In recent years, the Melaka Government has been quite active in pushing the sustainability agenda, working with international organisations such as United Nations Industrial Development Organisation, World Bank, 100 Resilient Cities, Global Environment Facility, and locally with the Malaysian Industry-Government Group for High Technology. It was the first state to deploy electric buses in 2015, in its efforts to towards improving air quality by reducing carbon emissions. The buses are equipped with CCTVs on the inside and outside. “The Melaka Government has also recently pushed for the Melaka Road Lighting Project which will see the installation 100,000 energy-efficient LED road lamps across the state. This is a good move as a study by Chicago consulting firm Navigant shows that street lighting accounts for 80% of a city’s energy bill, and a separate study by Earth Policy Institute indicates that lighting consumes 20% of the world’s energy,” adds Fong. In August, it was announced that the Government has allocated RM4.5mil to Langkawi as part of the Electric Taxi Pilot Programme and Electric Vehicle Awareness Programme for 2017 and 2018. Prime Minister Datuk Seri Najib Tun Razak earmarked Langkawi as one of the seven municipal councils to be transformed into low carbon cities under the Low Carbon Cities Framework, and become Malaysia’s first low-carbon island by 2030. The Selangor Government has launched a few smart initiatives to tackle the waste management issue within the state. Its first Smart Waste Solution Lab in SS2 went fully operational in May and is aiming to reduce waste in Petaling Jaya by half. In September, StarMetro reported Petaling Jaya deputy mayor Johary Anuar as saying: “We have been living on a linear economy, where trash is disposed directly into the landfills. A study by Petaling Jaya City Council (MBPJ) showed that 600 tonnes of waste is disposed every day within the city, with 49% comprising organic waste. The lab processes 15 tonnes of food waste daily, turning it into liquid fertiliser, biogas and detergent. “If all the organic waste can be recycled and made into compost, we can ultimately reduce waste by half,” Johary added. Currently only about 300 hawkers from the SS2 morning market and food court are contributing towards the smart waste solution. MBPJ is expecting more hawkers and even residents in other PJ areas to follow suit. The Selangor Government is also planning to set up another waste solution and recycling centre in SS8 next year. The Penang Island City Council (MBPP) mayor Datuk Maimunah Mohd Shariff announced in September that the council would be installing flood sensors in several flood prone areas on the island. This, she said, would alert the council on the rising water level. Around 20 to 30 devices will be installed by the roadsides in flash flood hotspots on the island, and whenever triggered, they will send signals to the relevant authorities. MBPP will add another 150 CCTVs to the existing 700 on the island to monitor the safety of its people at all times. Citizen participation is definitely a key component in any smart city. The free iClean Selangor app allows users to do their part in maintaining the state’s smart waste management solution. The app is available on iOS and Android, and encourages users to take photographs of uncollected garbage within Klang, Selayang and Ampang Jaya townships. Users need to register before lodging their complaint via the app, which would be geo-tagged and directed to the command centre handled by the Selangor Government’s garbage collection monitoring agency KDEB Waste Management Sdn Bhd. The garbage will then be collected within four days. The Selangor Government is also in talks with the developers of traffic navigation app Waze to build a middleware for road users to flag potholes. The information will then be channelled to the local authorities for action. In a similar vein, the KLCares app developed by DBKL allows the public to lodge complaints about various issues – from broken signboards to faulty traffic lights – within the capital city. Users can download the app on Android and iOS platforms. They can even attach photographs to support their complaints. “I believe that the goals of smart cities are to improve the efficiency of the urban system and enhance the quality of life for its residents. Human health (and health-related behaviour) plays a key role in creating smart cities,” says Australian Catholic University’s Institute for Health and Ageing Built Environment Professor Takemi Sugiyama. He claims that cities make people fat. A 2016 study conducted by Sugiyama in North West Adelaide in Australia showed that the distance of residential areas from the city is associated with the increase of waist circumference among its working adults. Sugiyama suggests transportation oriented developments like the Mobike and oBike bike sharing solutions. “These bike sharing programmes can prove to be an effective last mile/first mile solution for public transportation. On top of that, the Malaysian city environment is largely obesogenic, but such initiatives can lead to active and healthier citizens in the long run,” says Fong. MBPP is also making Penang cycle-friendly by refurbishing the backlanes and providing bicyle lanes on the roads. Fong believes that it is high time for more city councils and state governments to take the initiative to make their city smarter. “There isn’t a thing as ‘too late’. Smart cities, as they say, is a journey, not a destination,” says Fong. © Copyright of MyHSR Corporation Sdn. Bhd.